Check out Legal Profession Blog for a picture of what conduct warrants disbarment in D.C. today, and what conduct merits only suspension in New York and Illinois. Newsweek and the Washington Post are reporting that a memo from the Department of Justice's Office of Professional Responsibility will clear John Yoo and Jay Bybee--authors of memos in 2003 addressing whether interrogation techniques constituted torture--of professional misconduct. According to Newsweek, the memo will say that authors John Yoo and Jay Bybee showed "poor judgment" but did not violate the rules of professional conduct. The Wall Street Journal profiles Michigan native Margaret Tahyar, a partner at Davis Polk & Wardwell, New York. Her career advice is targeted to women and includes: ""Marry a man who is not threatened by a successful woman and who will cheer you along." According to a new report, A Disturbing Trend in Law School Diversity, from Columbia Law School’s Lawyering in the Digital Age Clinic, the percentage of African-American and Mexican-American students accepted to law school has declined 7.5% and 11.7% respectively, over the last 15 years, at the same time that the grades and LSAT scores of the two groups improved. 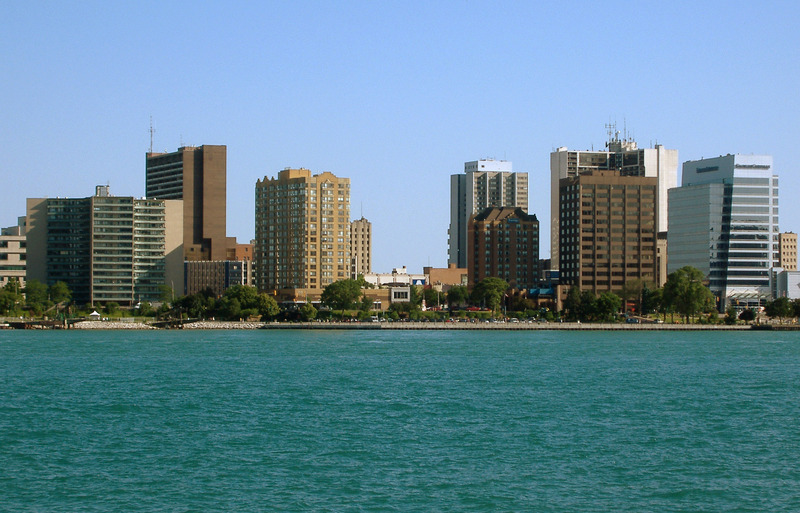 Our working hypothesis on this blog is that Michigan has a commercial advantage as a border state and that Michigan lawyers can benefit as a result. So, in your interest, we’re watching the Canadian legal blogs and will let you know what we find. Here’s a headline that caught our eye last month: Business booming for legal profession. The Detroit Free Press reported yesterday morning that 36th District Court Judge Brenda Sanders and Probate Judge Charles Nebel, of Alger and Schoolcraft counties, have received orders of suspension from the Michigan Supreme Court for violations of Michigan's code of judicial conduct. Sanders was suspended without pay for 21 days; Nebel for 90 days. In its first decision on the application of its new disqualification rule, the Michigan Supreme Court unanimously has denied Geoffrey Fieger's motion for the disqualification of Justices Corrigan, Markman, and Young to hear Pellegrino v Ampco. Justice Corrigan and Justice Young did not participate in the decision. The Hon. Horace Weldon Gilmore died Monday at the age of 91. A graduate of the University of Michigan (A.B., J.D. ), Judge Gilmore served as a Wayne County circuit judge before being appointed district judge for the Eastern District of Michigan in June, 1980. Judge Gilmore was a prolific legal author and teacher, and an active contributing member of the State Bar of Michigan. The federal courthouse in Detroit will be closed at 2 p.m. Friday in his honor. Judge Gilmore served as a Wayne County Circuit Judge between 1956 and 1980. In June of 1980, he was appointed United States District Judge for the Eastern District of Michigan. He assumed Senior status on June 1, 1991, and closed his Detroit chambers on October 30, 1998.